Lyndon Earl Moss, 82, of Amarillo died Saturday, September 29, 2018. Services will be at 11:00 a.m., Wednesday, October 3, 2018, at Hillside Christian Church, South Campus, 6901 Bell St. Burial will be in Memory Gardens Cemetery. Arrangements are by Boxwell Brothers Funeral Directors, 2800 Paramount Blvd. 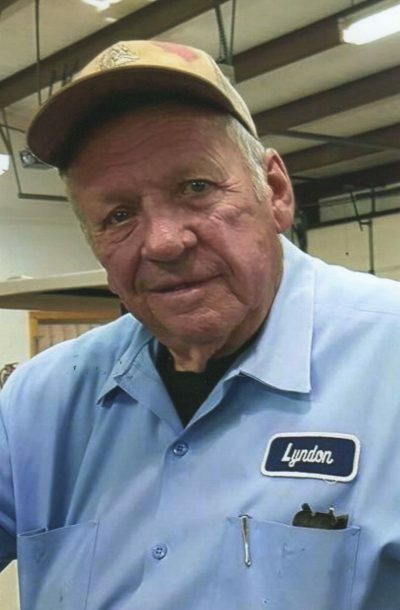 Lyndon was born on May 10, 1936, in Jester, Oklahoma to Calvin and Lovell Moss. Upon the death of his mother at a very young age, he was raised by his grandparents in Sayre, OK. He worked on their farm until joining the Army in 1953. He became a sergeant in the 101st Airborne Division, a brotherhood he was proud of all his life. After his discharge, he moved back to Oklahoma where he married Ellen Oren and had two sons, Don and Joe. They all moved to Amarillo in the early 60’s. He was in the body shop industry most of his life starting with Moss Body Shop in 1975. He was later into Harley restoration and then into the Ford tractor business. He became an expert at all the above. His passion from a very young age was dirt track racing, a sport he excelled at and continued to do until he was 70. It was racing where he received the nickname of the Tasmanian Devil for what some deemed to be an aggressive driving style. It was also in the racing sport he met and married Cindy Proffit. Everyone that knows Cindy knows she must have been sent from Heaven. Together they spent his remaining years restoring tractors and traveling to dirt track races. They were inseparable. He was preceded in death by his grandparents, Wylie C. (Lum) and Floy Durham Moss; his parents, Calvin and Lovell; his stepmother, Wynogean; and a sister, Patsy. Survivors include his wife, Cindy; his sons, Don and Joe; a sister, Glenda Faye and husband Wes Keyes; a brother, Denney, and wife Valerie Moss; a granddaughter he cherished, Linzi and husband Hunter Scott; and many nieces, nephews, and cousins. The family will receive friends from 5-6:30 p.m., today, Tuesday, October 2, 2018, at the funeral home.